The new Iran measures target the country’s energy, shipping and shipbuilding sectors, already in the sights of U.S. sanctions. But the legislation goes further, restricting trade with Iran in precious metals, graphite, aluminum and steel, metallurgical coal and software for integrating industrial processes. Under the bill, the President would have to report back to Congress on whether any material was being used as barter to furnish transactions with Tehran as a way to avoid sanctions. It also targets the state broadcast network, called the Islamic Republic of Iran Broadcasting, which the law says violated human rights by broadcasting forced confessions and show trials. The law orders the U.S. Treasury to slap sanctions on Islamic Republic of Iran Broadcasting and its president, Ezzatollah Zargami. Sanctions already in place have battered the Iranian economy, which has seen its currency crumble in value and its oil exports plummet. The National Jewish Democratic Council is pleased to see that Lieutenant Governor Brian Schatz has been selected to serve in the United States Senate. The late Senator Inouye left behind a tremendous record of partnership with the Jewish and pro-Israel communities — and we are fully confident that Brian Schatz will continue that robust partnership. The entire NJDC family wishes Schatz the best of luck and we look forward to working with him in the future. Israeli missile defense expert Uzi Rubin delivered a nonpolitical presentation to the Washington Institute for Near East Policy that examined the Iron Dome’s effectiveness. To summarize Rubin briefly, the Iron Dome worked exceptionally well and it is a game changer for Israel’s security. However, one must watch Rubin’s presentation in its entirety to really understand the importance of the Iron Dome’s successful performance. The help from the United States was timely and invaluable. Especially timely. $205 million is a sum that Israel can afford to spend. But what Israel didn’t have was the time to argue it out. The fact that United States stepped in and came with that money and decided the decision, saved Israeli lives. And for that as an Israeli, I am very thankful to President Obama personally, and to his staff and his previous Secretary of Defense and current Secretary of Defense for their help, and for U.S. Congress for its resolute and generous help. President Barack Obama and Vice President Joe Biden were to be among those offering tributes during the ceremony Friday at Washington National Cathedral, along with Senate Majority Leader Harry Reid, D-Nev., and Veterans Affairs Secretary Eric Shinseki. Biden also spoke at a ceremony Thursday at the Capitol, where Inouye was given an honored resting place: beneath the dome. Inouye was only the 31st person to lie in state in the rotunda, the most recent being former President Gerald R. Ford nearly six years ago. During the day, congressional staff, tourists and other Capitol Hill visitors filed past to pay their respects at Inouye’s casket, draped with an American flag. Israeli Prime Minister Benjamin Netanyahu issued the statement below in response to the passing of Senator Daniel Inouye (D-HI). On behalf of the people of Israel, I wish to express my deepest condolences on the passing of Senator Daniel Inouye. I was proud to call Senator Inouye a friend. He was a humble man with a towering spirit, whose exemplary bravery on the battlefield during World War II was followed by an exemplary life dedicated to serving his country and defending its most cherished values. Since the establishment of the State of Israel, our country has been blessed to have had the unwavering support of outstanding American leaders who were dedicated to strengthening the security of Israel and to deepening the unique and powerful alliance between Israel and the United States. But even among these leaders, the contributions of Senator Inouye stand out. His friendship to the Jewish people knew no bounds, and he worked tirelessly throughout his public life to safeguard the one and only Jewish state. The people of Israel will forever owe him a profound debt of gratitude. My thoughts and prayers are with Senator Inouye’s family at this difficult time. Eulogy by Former Israeli Ambassador Sallai Meridor follows the jump. Senator Inouye played a leading role in all major aspects of the strategic relations between America and Israel. He initiated transforming from loans to grants the American military aid to Israel, amounting to tens of billions of dollars over the years. He led the American support for the development of multi-layered Israeli initiated missile defense system, from David’s Sling, to Iron Dome. He assured that Israel would not only be allowed to purchase most advanced American weapons systems for its defense, but also be able to develop its own cutting edge systems to assure Israel’s qualitative military advantage over its enemies. Inouye’s support for Israel has never been conditional, nor has he ever expected anything in return…. Being himself an American of Japanese origin, serving his country while his relatives were kept by his own country in detention camps, he embarked on a life long journey of standing with and for the Jewish people. He bound his soul with the Jewish people and vowed to do all he could to help Israel. From selling Israel’s bonds as a young student to appropriating billions for Israel’s defense as the chairman of the Senate committee, he has always stood with Israel. The room of this American hero and most powerful leader was decorated with Jewish menorahs. Every year, he made the effort to attend Israel’s Independence Day celebration in DC to show his solidarity and support. His door and heart have always been open to Israel’s representatives. When I served as Israel’s ambassador to the US, I had the privilege of meeting with him in this office. Whenever I was seeking a wise caring advice, help vis-à-vis the administration on critical issues, or achieving for Israel the almost impossible, I would ask to visit Senator Inouye. He has always been proud of Israel and concerned about its future. He profoundly understood the difficulties facing a tiny nation, the dangers emanating from the prevalent hatred towards the Jews and their state, and the existential challenges facing a Jewish democratic state in the Middle East. He unequivocally believed that a secure Israel is in the best interest of the United States and an important part of the American story. He was more than deeply concerned about the threat of a nuclear Iran. Concern for Inouye has been a call for action. ‘What can I do for Israel’s defense?’ He would ask…. Israel has many great friends on Capitol Hill, but there has only been one Daniel Inouye. A noble human being, an American hero, a lover of Zion. 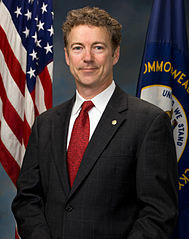 President pro tempore of the United States Senate. Represented the State of Hawaii in Congress since statehood. First Japanese-American in Congress and in the Senate. Served during World War II earning a Distinguished Service Cross, Bronze Star Medal, 2 Purple Hearts. On behalf of NJDC, we extend our condolences to Senator Inouye’s family and the people of Hawaii. The Senator leaves behind a distinguished record of heroism and service to our country that has inspired members of younger generations to enter public service. Senator Inouye was one of the strongest pro-Israel voices on Capitol Hill, and his leadership within the Senate Appropriations Committee’s subcommittees resulted in significant increases in aid for Israel. He was a true mensch in every sense of the word, and we are deeply saddened that he is no longer with us. First of all, the cornerstones of the special relationship between Israel and the United States are our common strategic interests, our shared values of two democracies, and our broad and deep people-to-people ties. And, as recently demonstrated in our national elections – this partnership is historic, bi-partisan, and multifaceted. It is based not on any one political party or Administration, but on the commitment of the American people to support a flourishing, secure, Jewish, democratic State of Israel here in the historic homeland of the Jewish people. Throughout our U.S. presidential campaign, we saw evidence of this widespread support as both candidates articulated in their platforms their positions in strong support of Israel, our closest ally in the region. As President Obama prepared to begin his second term, he has recommitted himself to continuing the policies of an unshakeable support Israel’s security and a deep commitment to its future as a Jewish, democratic state. The recent escalation in Gaza showed the world what Israelis have known and lived with for years: the terrible reality of rockets fired by Hamas and other terrorist organizations, deliberately targeting innocent civilians. As Israel acted to bring an end to the rocket fire, the strong U.S. response also made clear our commitment to ensure Israel’s right of self-defense. Reflecting on those eight days, I am tremendously proud, as an American, and as U.S. Ambassador, of the U.S. efforts made to support Israel when it was under attack and to de-escalate the crisis in a way that has brought a measure of quiet in the south. First, from the beginning, the U.S. response could not have been clearer. President Obama, Secretary of State Clinton, and our Ambassador to the U.N., Susan Rice, made strong and direct public statements on our unequivocal support for Israel’s right of self-defense – statements that were critical in shaping international perceptions of the conflict, in securing the support of other countries, and in keeping the focus where it needed to be: on stopping the rocket fire from Gaza. Second, despite President Obama and Secretary of State Clinton being in the midst of a historic trip to Asia, they never took their eyes of the Middle East and engaged in close coordination with Israel on international diplomatic efforts and the details of proposals for a ceasefire. President Obama spoke with Prime Minister Netanyahu several times to receive updates and offer advice and counsel and support. Secretary of State Clinton took every spare moment to call her counterparts around the world to urge them to support Israel’s right to defend itself and pressure Hamas to stop firing rockets. Third, America and Israel both conducted direct engagement with Egypt throughout the Gaza crisis, including multiple conversations between President Obama and President Morsi and Israeli delegations traveling to Cairo, to ensure that Egypt could play its unique stabilizing role in influencing Hamas to settle on an agreement. The ceasefire is not a perfect or a permanent solution. Now, Egypt and Israel must continue, and are already continuing, to work together to preserve Israel’s security, crack down on weapons smuggling, and advance the legitimate needs of the people of Gaza. President Morsi’s government has consistently reiterated its adherence to the Peace Treaty with Israel, and we remain encouraged by that commitment…. As someone close to the events that took place, in fact, the best seat in the house, I want to tell you that the close U.S.-Israeli coordination to de-escalate was impressive, and demonstrated that our partnership is not only evidence of a strong and deep bond between our countries- but also a productive and constructive one, which furthers national interests on both sides. In addition to our diplomatic support during the Gaza crisis, U.S. security assistance was also evident. ‘Iron Dome’ has become a household phrase no longer just among defense experts, but in Israel and the United States, and around the world. The story of American support for the Iron Dome system goes back a few years. Back in 2008, I was privileged to accompany President Obama, at the time a Senator and presidential candidate, on a visit to Sderot. He met with families whose homes had been destroyed, as well as children who had been injured by rocket and mortar attacks. He saw – in person – how the ongoing threat deeply affected people. He understood that the U.S. commitment to Israel’s security included an obligation to help Israel protect itself from this threat. That is why, as President, he ensured U.S. funding above and beyond our regular military assistance for Iron Dome. Last month, we saw just how important that support was. Israelis are rightfully proud of this magnificent, Israeli-developed technology. And Americans are proud that the $275 million in American funding to accelerate the development and deployment of this missile defense system. With over four hundred intercepts during the recent conflict, in both the south and in the Gush Dan region, Iron Dome helped save lives and prevented untold injuries and damage to homes, to schools, to communities. If there is a more meaningful example of America’s commitment to Israel’s security, I don’t know what it is. As I mentioned, funding for Iron Dome is actually in addition to an even larger amount-the $3.1 billion dollars in annual military assistance from the United States, which upholds Israel’s Qualitative Military Edge – that is, Israel’s ability to counter and defeat credible military threats from an individual state, coalition of states, or non-state actor, while sustaining minimal damages or casualties. Preserving Israel’s Qualitative Military Edge is a much broader and multi-faceted endeavor. It involves building operational capabilities through exercises, training, and personnel exchanges. It involves ensuring Israeli access to the most advanced U.S. military systems, such as the F-35 Joint Strike Fighter, the world’s most advanced fighter aircraft. It involves supporting further missile defense systems to counter long-range ballistic threats. It involves close bilateral ties, maintained through constant consultations at the highest levels of our militaries and intelligence services. This close coordination is ongoing and growing-just last month, we conducted the joint ballistic missile defense exercise, Austere Challenge. With over 1,400 U.S. troops on Israeli soil, and thousands of participants overall, this was the largest joint exercise in the history of the longstanding military relationship between the U.S. and Israel. Austere Challenge allowed us to make great strides in improving our tactics jointly, but more importantly, it reinforced our already strong military-to-military relationships, from our most senior commanders to our junior enlisted troops. All of this assistance reflects the United States’ commitment to preserve Israel’s right and ability to defend itself, by itself, against any threat it may face. As part of our commitment to Israel’s future as a secure, Jewish, democratic state, we firmly believe that Israel’s security depends on a peaceful resolution to the Palestinian conflict…. There is no substitute for direct negotiations between Israel and the Palestinians to achieve this vision. It cannot be resolved by unilateral measures by either side, which serve only to undermine trust and confidence, and which will not lead to a lasting peace…. I would like to take just a few more moments to discuss another area where the U.S. and Israel are strong partners-which is our shared commitment to prevent a nuclear-armed Iran. President Obama has stated unequivocally that we will not allow Iran to acquire a nuclear weapon and that the U.S. will use all elements in its power to achieve this objective. Over many months, through extraordinarily close, high-level coordination, the United States and Israel have developed a common understanding of the threat a nuclear-armed Iran would pose, a common intelligence basis on which to judge the progress of the Iranian nuclear program, and a common strategy – together with many other nations – to use unprecedented sanctions and economic pressure to induce Iran to change course. We have a shared preference to try to resolve this issue diplomatically, but also a shared principle that no options are off the table. A nuclear-armed Iran is not just an existential threat to Israel. It would pose a grave threat to the security of the United States, our allies, and the world. It would heighten the possibility that nuclear weapons could fall into the hands of terrorist organizations. It would spark a nuclear arms race in this volatile region. It could collapse the global nuclear non-proliferation system. And a nuclear umbrella would embolden Iran in its support for terror by Hezbollah, Hamas, and other groups, and threaten freedom of navigation in the Persian Gulf. As Secretary Clinton recently said, Iranian-made missiles and rockets launched from Gaza at Tel Aviv and Jerusalem only drove home what we already know: America, Israel, and the entire international community must prevent Iran from acquiring a nuclear weapon. This is a regime that already exports terrorism to Israel’s doorstep, brutalizes its own people, threatens chokepoints in the global economy and risks opening the floodgates on nuclear proliferation around the world. So when it comes to Iran’s nuclear threat, the United States does not have a policy of containment. We have a policy of prevention, built on the dual tracks of pressure and engagement, while keeping all options, including the military option, on the table. We have mobilized the international community around this issue, and together, we have put in place the strongest sanctions that the Iranian government has ever faced, to include sanctions on Iran’s banking, shipping, and petroleum sectors. As Secretary Clinton has said, we worked to convince all 27 nations of the European Union to stop importing Iranian oil and all 20 major global importers of Iranian oil – including Japan, India, South Korea and China- to make significant reductions. Iran today exports at least one million fewer barrels of crude each day than it did just last year. And Iran’s currency is worth less than half of what it was last November. The pressure is real, and it is growing. We remain committed to working with the P5+1 on a dual track approach to persuade Iran to come into compliance with its international obligations regarding its nuclear program. Our message to Iran is clear: the window remains open to resolve diplomatically the international community’s concerns about your nuclear program, and to relive your isolation, but that window cannot remain open indefinitely. It is up to Iran to follow through and to demonstrate it is serious. Until Iran complies with all its international nuclear obligations, we will further increase the pressure. We will not let up until we achieve our goal. In closing, I want to emphasize that the Obama Administration’s commitment to Israel is more than just a continuation of existing policies- it has cultivated new ways to ensure Israel’s security, and to advance our overall bilateral relationship through cultural, economic, and commercial ties. The partnership between the U.S. and Israel is mutually beneficial, and has thrived for many years, and many administrations, and will continue to thrive over many more. Indeed, the U.S. – Israel relationship is too important to be anything less than a top priority. At every level of our government, these words are supported by concrete actions, and our relationship will always receive the time, attention, and focus that it deserves. Allies look out for each other’s interests. That has defined, and will continue to define, the United States’ approach to this relationship. The pro-Israel community must work to expand and broaden itself so that we can continue the tradition of broad bipartisan support for Israel. This past election, we heard many scurrilous claims – if not outright lies – from some partisan Republicans and political conservatives both here and in Israel, individuals committed to putting Mitt Romney in the White House at almost any cost. After four years of President Barack Obama’s pro-Israel presidency, one of the most odious claims was that if given a second term, the president would somehow “throw Israel under the bus” and reveal a sinister version of himself that he’d kept under wraps during his first term. Many Republicans insisted on this deeply disturbing narrative and similar claims, but the overwhelming majority of American Jews demonstrated that they saw through these myths on Election Day. And in November 2012, Israel’s supporters around the world saw these bogus claims shattered by more of the president’s singular pro- Israel leadership. But a key question lingers: when will the anti-Obama Israel myths stop? And when will partisan Republicans end the disgraceful and dangerous tactic of turning Israel into an election wedge issue – something they did in this election to an extent never seen before? Let’s pause for a reality check. Shortly after Election Day, the president and members of his administration clearly supported Israel’s right to defend itself as Operation Pillar of Defense began. Indeed, President Obama and Vice President Joe Biden spoke with Prime Minister Binyamin Netanyahu and President Shimon Peres multiple times throughout the conflict in order to convey their support and discuss the constructive roles the United States could play. The president and members of his administration personally condemned Hamas’ rockets and placed the blame for the escalation squarely at Hamas’ feet. In addition, Secretary of State Hillary Clinton shuttled around the region to ensure that Egypt would play an important role in reining in Hamas and instituting a vital cease-fire. 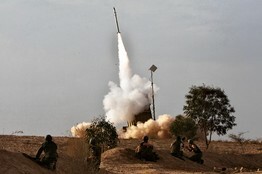 But of course even before Pillar of Defense began, President Obama and his administration were outspoken champions of the revolutionary Iron Dome missile defense system – which the Bush administration greeted with skepticism and ultimately took a pass on, according to The Wall Street Journal. However, the president’s support for Israel began long before the war. So it should have surprised nobody that the United States worked assiduously and voted against the Palestinians’ upgrade to UN non-member observer status. Even though the vote’s result was apparent well before the General Assembly convened that day, America’s delegation made an impassioned case against the upgrade and reiterated that stunts in the Israel-obsessed UN are no substitute for direct negotiations. President Obama led and acted precisely the way a deeply pro-Israel president would, and he deserves our community’s thanks. While some of the president’s critics have expressed their appreciation, many have not. The harshest critics – who routinely spewed venom and lies during the campaign – should be lining up single file to make up for the embarrassment they’ve caused the pro-Israel community with their absurd attacks. Their silence – and continuing malfeasance – should concern all of us who care about the US-Israel relationship. One of the best ways to start is by giving credit where credit is due – and by throwing the Obama smears themselves “under the bus,” once and for all. The writer is president and CEO of the National Jewish Democratic Council.